North bound on State Line Ave. approaching 3rd and 4th streets. At this point US71 has not joined State Line Ave.
North bound on State Line Ave. at east bound MLK. 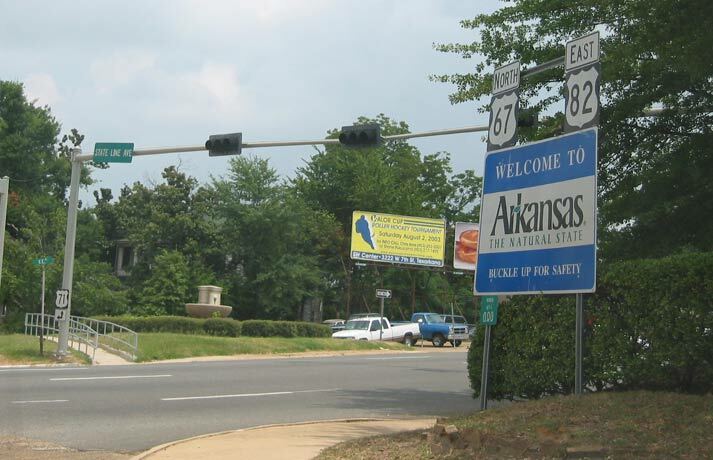 US67 North, US82 East and US71 South continue their journeys into Arkansas at this point. 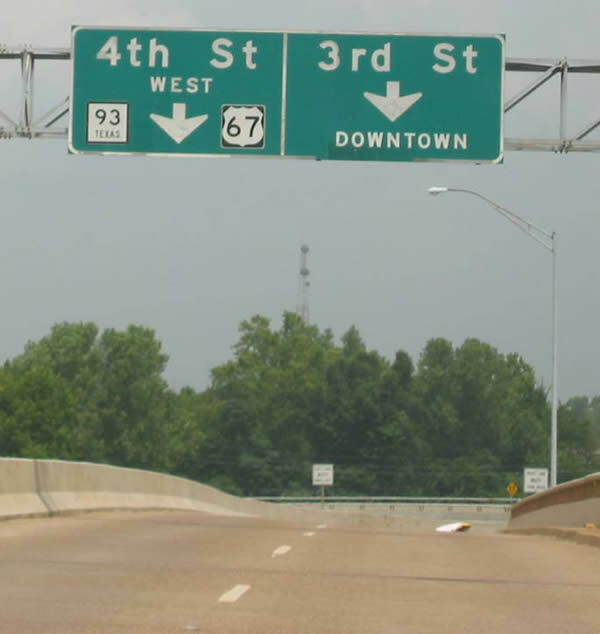 Notice the mile marker on the left support of the sign in the photo above. It starts at "000". I guess just "0" didn't get the point across.